You will always have a pair of Warmthru socks ready for action if you wear a pair and wash a pair. Guessing that you already have a pair of Warmthru socks from us - if not you will need to buy the main product. 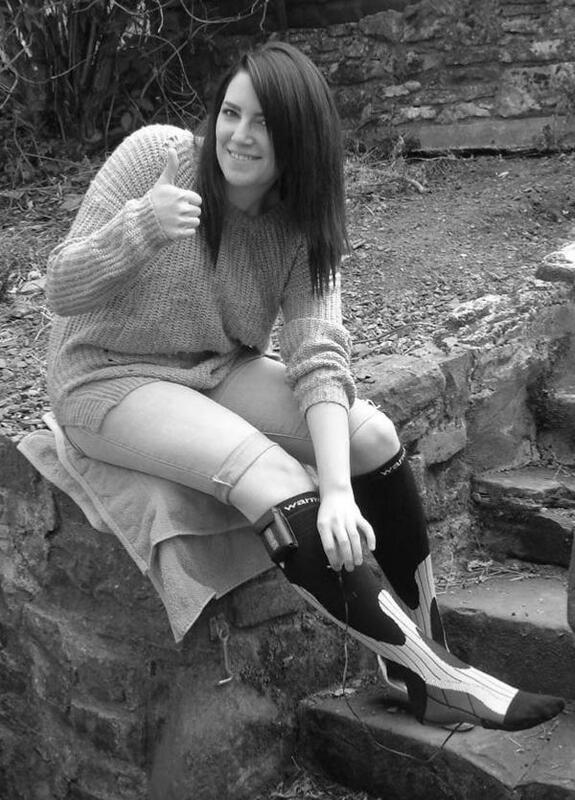 If you have already done so a spare pair will come in very handy. There's a neat little pocket in Warmthru Socks, under the toes into which the heat element slides. The element cable trails down the outer leg through loops stitched into the sock, and connects to the battery which is in a strap-ppocket that velcroes under the knee. Easy! Socks are Compression Socks which increase oxygen delivery, decrease lactic acid, help prevent cramps and minimise muscle fatigue. The ankle 'joint' enhances activity. An Instep Protector reduces the discomfort of friction. A Toe-Tip Protector makes a roomy space for greater comfort. On the calf, a terry-looped texture retains warmth and enhances comfort. An Ankle Protector protects from sprain & friction. 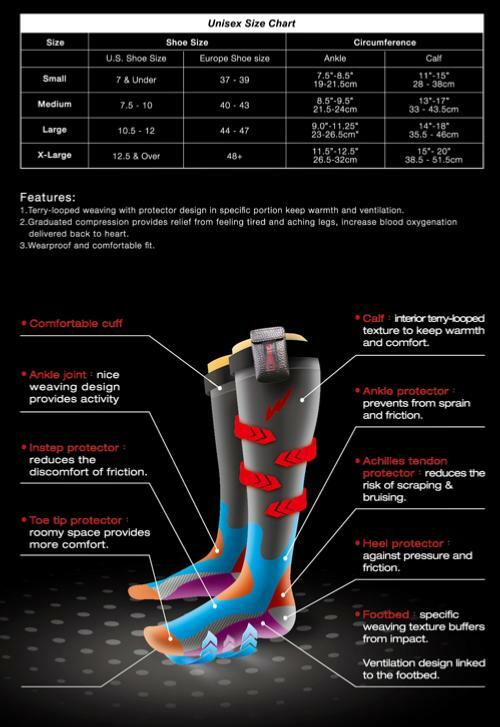 The Achilles Tendon Protector reduces the risk of scraping & bruising. A Heel Protector guards against pressure & friction. The Weaving Texture Footbed buffers against impact. An Underfoot Pocket houses the (separate) Heat Element. 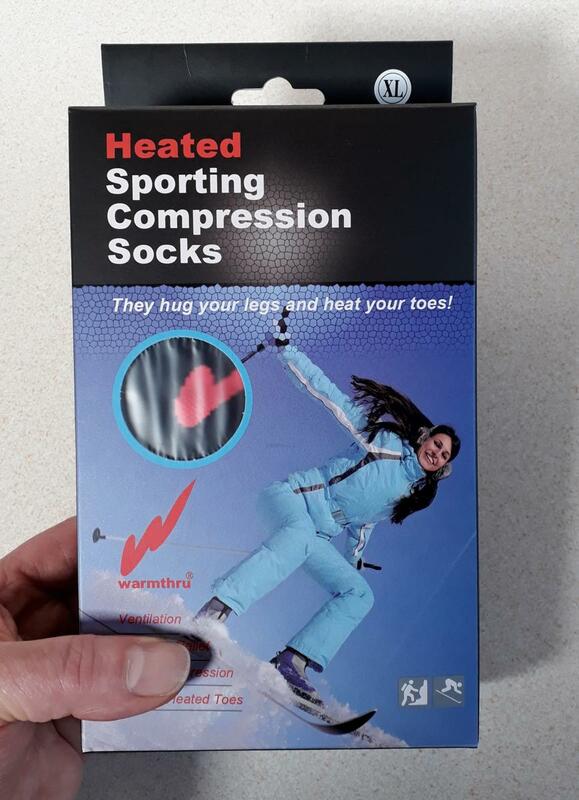 Each Warmthru Heated Sock uses a 7.4v 'smart' battery, worn under the knee in a special pocket on a Velcro strap. 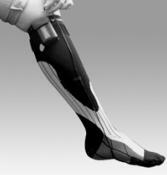 Socks are available in S,M,L,XL sizes.